Home health sleep This Is Why You Feel Sleepy After You Eat! Ever wonder why after eating a big meal you become sleepy? Well most people eating a high-starch carb rich meal like Thanksgiving dinner go into a condition known as “carb coma.” While this is usually a normal condition after eating meals, this state becomes amplified exponentially under such a heavy carb overload. After eating carbohydrates, the digestive system goes to work breaking down the carbs that entered the blood system. Your pancreas then produces insulin that in turn causes your body to absorb the introduced sugar. Foods containing simple carbohydrates, such as cane sugar or fructose, cause more rapid blood sugar spikes than complex carbs such as found in some vegetables and grains. 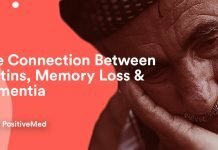 After a rapid spike in blood sugar levels, your blood sugar plummets back down leading to a groggy, crashed feeling and brain fog. Medically speaking, when the blood sugar level drops 15 percent or more, hypoglycemia becomes evident in many cases. People that tend to over eat are unknowingly causing their bodies to chemically and metabolically shift. Likewise, electrolyte imbalances can result that may lead to emotional imbalances such as depression, fatigue, food addiction and a sense of boredom or even restlessness. Please permit this article to debunk a common myth about turkey. The tryptophan content of turkey is no greater than let’s say, beef, fish or pork. 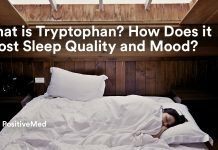 It has greater no greater capacity for helping you go to sleep than let’s say, soybeans, sesame, sunflower seeds and cheeses that do have a richer content of tryptophan. 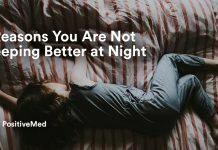 RELATED ARTICLE: Why You Should Sleep On Your Left Side! On a regular day-to-day basis, bananas, being high in magnesium, are often given to help relieve the muscle cramps of many dancers and athletes. When eaten at night, with half a glass of warm milk or a piece of cheese, bananas can safely induce deep sleep in many people. 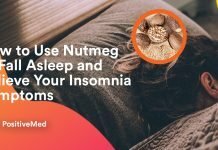 If accompanied by a few nuts, such as almonds or walnuts, your chances of falling asleep and staying asleep are even better. Your best, overall bedtime snack will consist of protein, such as a slice of turkey breast, or peanut butter spread on a piece of apple or banana. This writer’s favorite bedtime snack is four to seven walnut halves with a piece of cheese. While many people believe that eating a small salad for lunch is healthy, the truth is that unless they use plain olive oil, lime or vinegar, they are more than likely loading their system with commercially prepared, sugar-laden, salad dressing. This is not a good thing as an energy crash is soon to follow, says one spokesperson for the Academy of Nutrition and Diet. For those who suffer from acid reflux, acidic foods such as beef, pork meat, eggs and dairy many times lead to night time acid reflux. Preferably, these heavy-to-digest foods shouldn’t be eaten less than four hours before going to sleep. 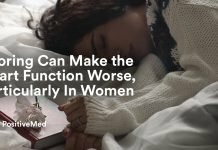 As you can see, eating too many carbs can either help put you to sleep, or they can cause havoc in your body if not combined with the right kinds of food. Take note, and let us know what carbs you do eat, if any, right before going to bed. Moreover, see what changes you think may be needed to ensure a good digestion, normal blood sugar levels and a peaceful night sleep as well. Next article9 Reasons You Should Drink Coffee Every Day!